Mexican Orange Blossom. 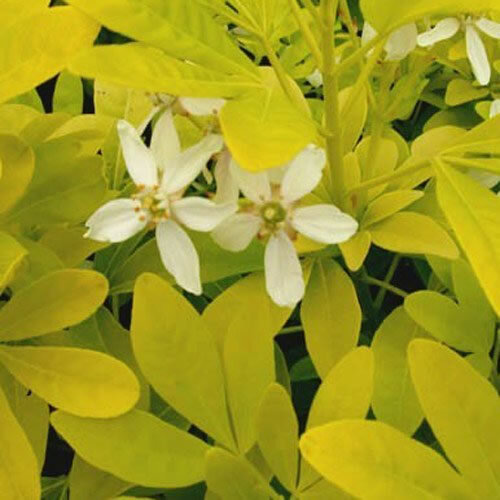 Compact shrub with bright golden yellow foliage and fragrant white flowers in late spring and summer. Max Height: 2.5m. Max Spread: 2.5m. Flowers April to August. Full Sun. Hardy. Water thoroughly before planting.